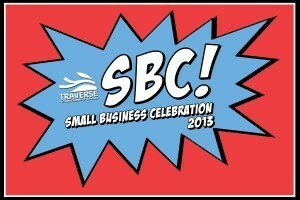 •Your Chamber is partnering with the Small Business Association of Michigan. •SBAM will bring six executives from other parts of the state, making this peer-to-peer learning opportunity a regional experience. We would like you to be one of the eight from TC! Staff rides challenge participants to analyze problems, analyze leader behavior, assess critical situations, and develop courses of actions. Additionally, leaders learn a new or refresh past learning on teamwork, communications, strategic planning, execution, motivation and logistics. During our staff rides we examine the strategic situation that led to the campaign, the key leadership decisions, and the successes and failures of the participants. We ask staff ride participants to analyze all aspects of the campaign and its battles and to share and discuss the leadership lessons learned. While technology frequently changes, humans generally don’t. We are still subject to the same emotions and feelings our ancestors felt. If we can study how others have managed and led under less than favorable conditions and dealt with uncontrollable variables, then we can perhaps learn how to improve our own decision making. Maps and diagrams are sterile aids which can assist, but not replace, actual visits to historical locations where leaders made their decisions. Seeing what they saw and walking or riding where they walked or rode brings us closer to understanding how they were influenced to make their decisions. This battle, fought in September 1863, was the most significant Union defeat in the Western Theater of the American Civil War and involved the second highest number of casualties in the war, following the Battle of Gettysburg. It is a battle marked by extraordinary leadership and by exceedingly poor leadership. It is a testimony of courage and resourcefulness with lessons about missed opportunities. Our staff ride is a case study in leadership marked by tenacity, resilience, and personal commitment. We will also focus on communication, planning, situational awareness, and dealing with uncertainty. Participants should be prepared for being out-of-doors all day and in relatively rugged conditions. We will provide a recommended packing list so that participants come prepared for the event. Each day will consist of 1) the battle site tours and discussions and 2) a debrief and lessons learned session at the hotel in the evening to fully develop the lessons learned. Contact Laura Oblinger at (231) 995-7103 or laura@tcchamber.org or Doug Luciani at (231) 995-7108 or luciani@tcchamber.org.